Student Membership of the Landscape Institute is open to all students, on LI-accredited courses and students studying related built environment and natural environment courses. Student members who are studying an LI-accredited qualification are automatically eligible to become a Licentiate member after graduation. 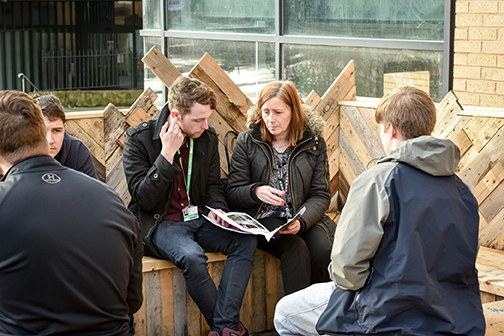 If you interested in studying for a career in landscape architecture, you can find our more on our recruitment website, Choose Landscape. This includes a list of undergraduate and postgraduate qualifications accredited by the Landscape Institute. Each spring the LI launches the Student Travel Awards which, if won, gives you the opportunity to visit your favourite landscape architecture sites anywhere around the world. The winning student receives £750 contribution towards their travel. As a student member, you’ll automatically be sent the student email newsletter. You’ll also be sent the Vista news update covering the latest industry news, events, and professional developments. Landscape, the Journal of the Landscape Institute, is sent to members every quarter – you will automatically receive this as part of your membership. The LI publishes resources for landscape practitioners, clients, decision-makers, and professionals in the built and natural environment. Visit the LI’s library and archive collection at the Museum of English Rural Life (MERL) at the University of Reading. The Landscape Institute has documents on Green Infrastructure, Water, Housing, Public Health, and Liveability on the Policy pages. In the Technical pages, technical guidance is available on BIM, GLVIA, Plant Health, and Visualisation. Make valuable industry contacts through your local branch – there are 12 LI branches across the UK. Each branch also has a student representative on their committee, get in touch to see how you can be involved. You can also look up registered practices in your area to approach for work experience in your holidays. You can sign up for email alerts about new jobs as soon as they are advertised on our Jobs webpage. Enter the LI Awards which take place in November. This is a fantastic way to get recognised by the industry and establish your CV. Being a student of professional body not only looks great on your CV, but it shows a level of commitment early on in your career, particularly if you are involved in any of the activities in the LI.